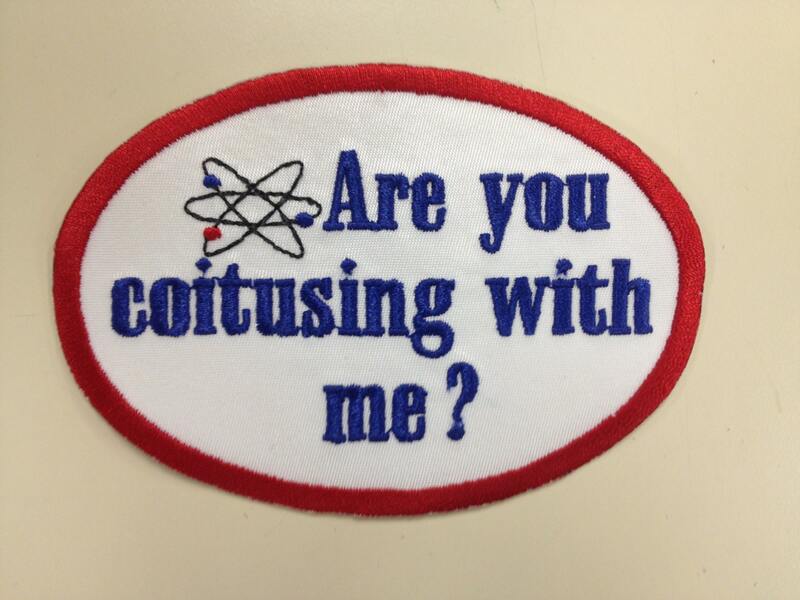 This Big Bang Theory Inspired Patch asks "Are you coitusing with me?" The border is stitched with red thread, the atom has black, red and royal thread stitched, and the lettering is done in royal thread. This patch measures 5"X 3.5"